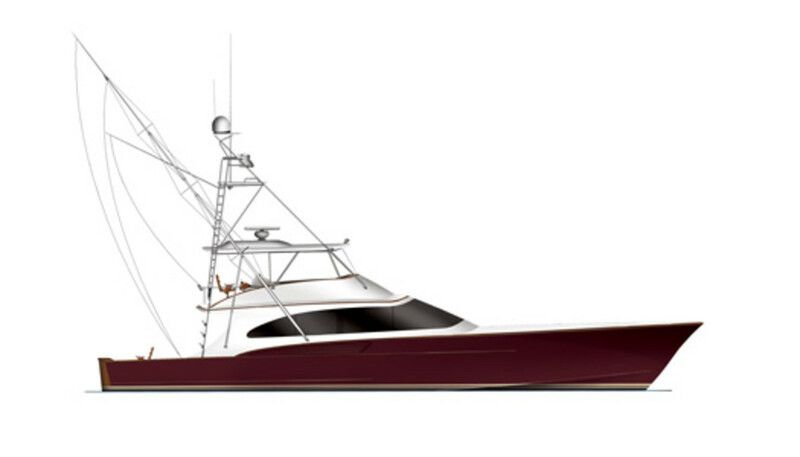 The new Jarrett Bay 77 will be a force to be reckoned with. 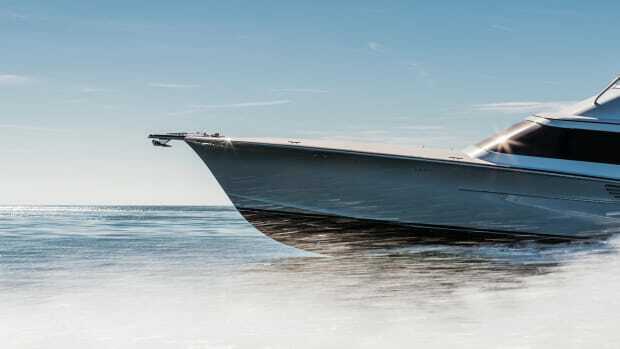 Packing 2,400-hp MTUs, she&apos;s predicted to reach a top speed of 42 knots or nearly 50 mph, downright impressive for a 77-footer that tips the scales at about 60 tons, not counting fuel, water, or provisions. 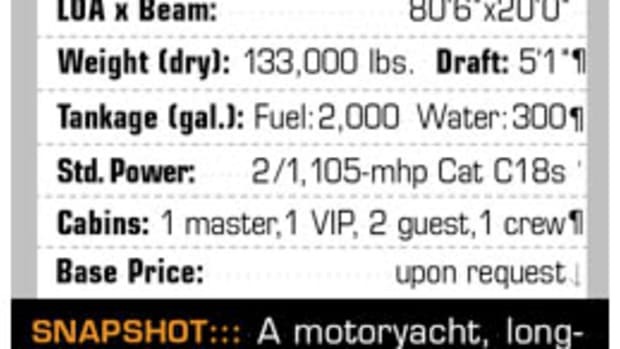 Even throttled back, she should cruise at 37 knots, or better than 42 mph. 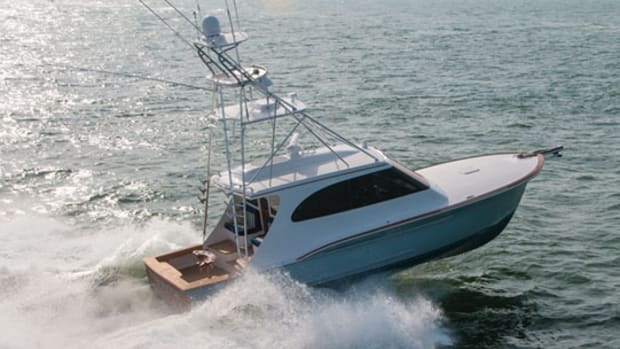 It&apos;s not just MTU muscle that makes those speeds possible. The other factor is her displacement; thanks to cold-molded wood construction, she&apos;s significantly lighter than conventional vessels. Plus that wood offers naturally better acoustic and thermal insulating properties. 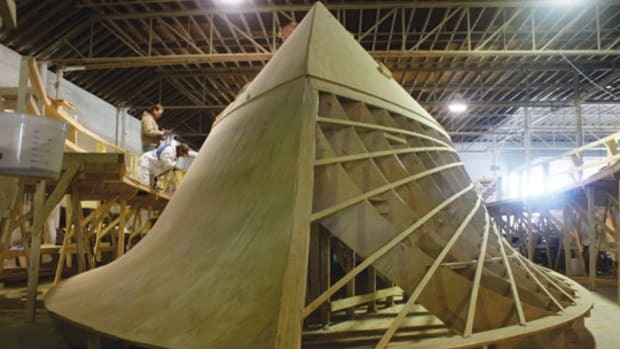 For low maintenance and cosmetics, the hull bottom and sides are sheathed in two layers of fiberglass. It&apos;s not all about speed, however. The focus on fishability is readily apparent. 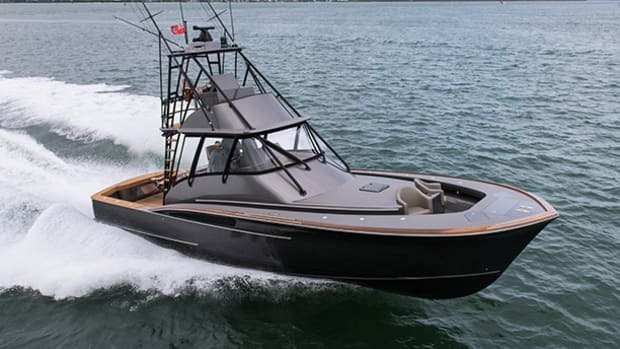 Her well-equipped cockpit boasts a transom fishbox/livewell, fighting chair, bait-prep and tackle-stowage drawers, ice machine, and more. There&apos;s even an air-conditioned mezzanine seating area, so guests can watch the action close-up and in comfort. 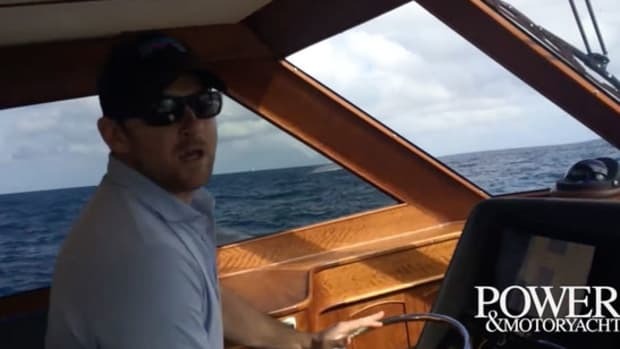 More importantly, the helm station is located far enough aft to allow the captain to easily keep an eye on the cockpit when fishing. 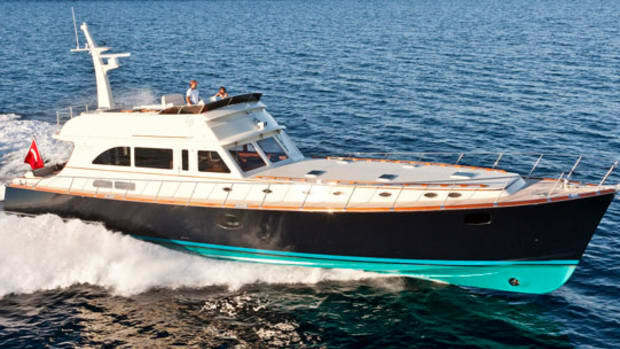 The creature comforts are first-rate as well, starting with a spacious open saloon and galley layout that offers a choice of seating areas to relax in, but with plenty of room to stand around with a cold drink and recount the day&apos;s action. When the conversation lags, guests can amuse themselves watching the 42-inch recessed LCD TV, listening to the Bose entertainment system, or fixing another drink at the ice-maker-equipped wet bar. 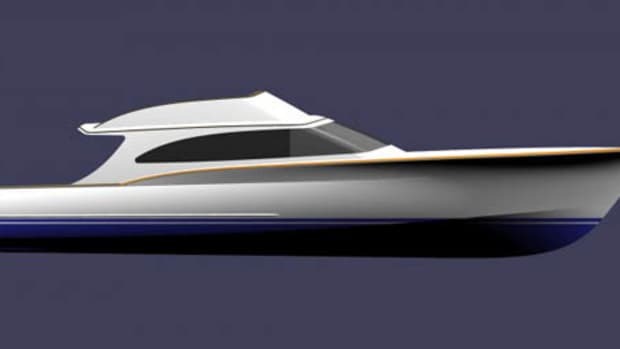 When night falls, the owner and his entourage will be able to enjoy four-stateroom, four-head lower-deck accommodations. 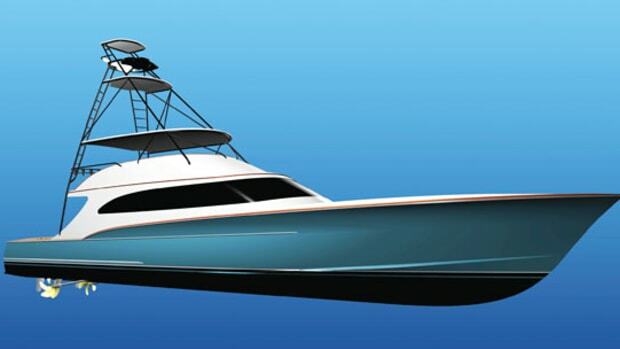 The 77&apos;s master stateroom offers big hanging lockers, a small settee, and an oversize head with full-length tub tucked under the sloping forward end of the deckhouse. Offering a double berth, twins, and bunk beds, the remaining three staterooms can suit a variety of sleeping arrangements. For more information on Jongert, including contact information, click here.